Recently, at Webati, one of clients asked us how to perform link audits, and after looking around, we realized that we didn’t have a suitable answer to give. This rarely happens to us, so it was a little disconcerting. We’ve found loads of resources that talked about performing SEO audits, but nothing that was specific to links. 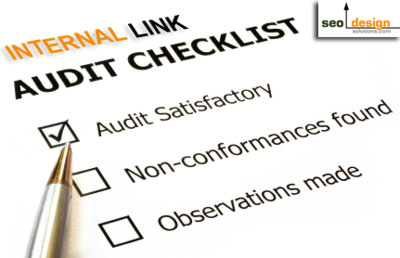 Before you start the process of performing a link audit, there are a few simple observations you are going to need to make. Has the site you are linked to been penalized, seen a sudden decrease or increase in the amount of traffic, or deindexed for any reason? Have you had a previously unknown competitor come out of the woodwork lately? Do you want to see what areas you are the weakest in? Do you simply want to know what links you should clean up? On occasion, a client will possess information about current happenings that can assist them in knowing what to look for. There are also going to be occasions when one does not have access to analytic tools or Google Webmaster Tools. In these instances, the best gauge you can use for a website is its rankings. For example, if you have seen a sudden decrease in traffic that corresponds with a recent update, then you can adapt your analytic methods to analyze the particular areas that are being affected by that particular update. Even when you do have your analytic tools at your disposal, there are going to be times when you simply do not know what to look for. 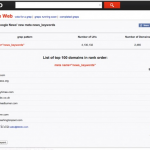 Think back to when the first round of Google Webmaster Tools came out. Unnatural link warnings were popping up all over the place, and a number of Internet marketers were panicking. There was a lot of speculation about the cause of why, and there was a wave of analysis in online forums, as many people tried to find similarities among the sites that had received the warnings. Likewise, a number of people were performing their own link audits on sites that hadn’t yet been flagged simply to try and find out what was happening. 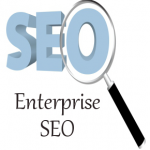 There are a number of different tools you can use to obtain a list of initial backlinks. One product we would recommend is Link Research Tools. This research tool is also going to provide you with a number of useful metrics, and all of these different elements will give you an idea of the power of the link. If you have, or know of someone who has, received an unnatural link warning, then it is time to clean up your link profile. It is currently being debated the extent to which poor links can harm your website, but it is important to audit them regularly to remove underperforming ones. Once you have decided which tool you are using to obtain your list of backlinks, your next step is going to be to sort them by ascending Trust. Not all of the links that are going to be labeled as low Trust are necessarily harmful or of poor quality, but sorting links in this method is the quickest method for determining which ones might be. Any tool you choose to use is going to have to be used with some amount of thought. There are a number of legitimate comment links that appear to have low quality metrics, but this does not necessarily mean they are “bad”. In some cases, it is going to be necessary for you to manually examine a link before deciding whether or not to toss it. Different SEO tools are going to have different sorting features, but bear in mind that, regardless of how good the tool you use is, specific metrics may not always provide you with the entire picture. There are a number of reasons why you might see a new competitor emerge out of nowhere, and the reason may not have anything to with your links or those of your competitor. For example, it could be because they have fresh, exciting new content, while you haven’t updated yours in months. Your best bet is going to be to find a high quality competitive analysis tool that is going to enable you to pull your closest competitors based upon the most up to date rankings for the specific keyword you have entered. When you take into account how quickly SERPs tend to fluctuate, this is an ideal method of gathering a list of the social signals for top ranked keywords. 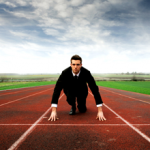 Regardless of what type of analysis tool you choose to use, the bottom line is that you need to capture every piece of data you can about your competitors, so you can identify the areas where you being outperformed. We’re going to take a break here for today, but tune in tomorrow for the second part of our mini series on performing your own link audits!